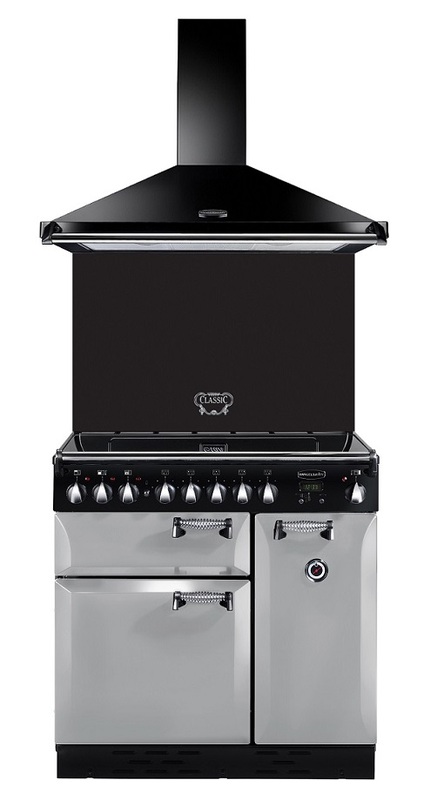 A complete range cooker package does as it says – completes the range cooker. Buy your range cooker, extractor hood and splashback at the same time! Here you will find complete cooker packages at favorable prices. Do you have any questions or concerns? 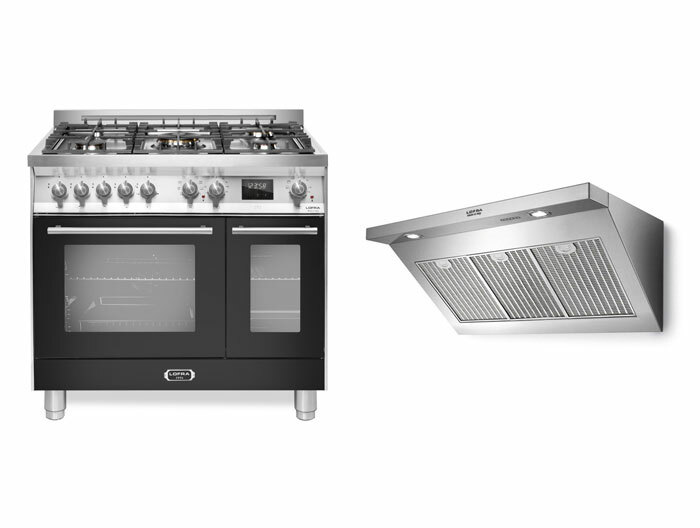 Please contact us and we will help you find a range cooker package that suits your needs! Handmade Italian master-class quality. 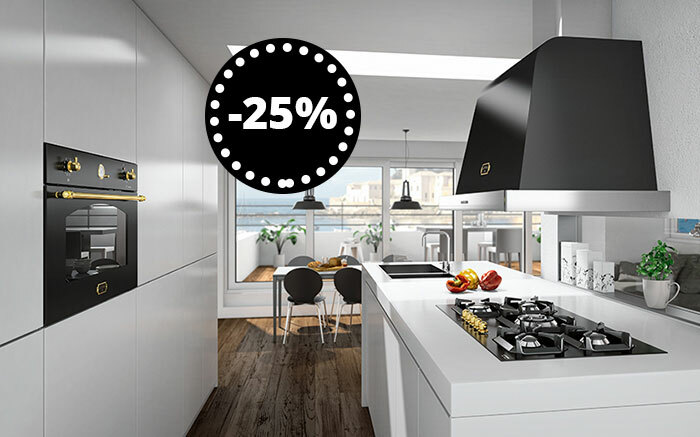 Lofra Venezia offers a powerful, stylish and modern cooker of world-class standard. 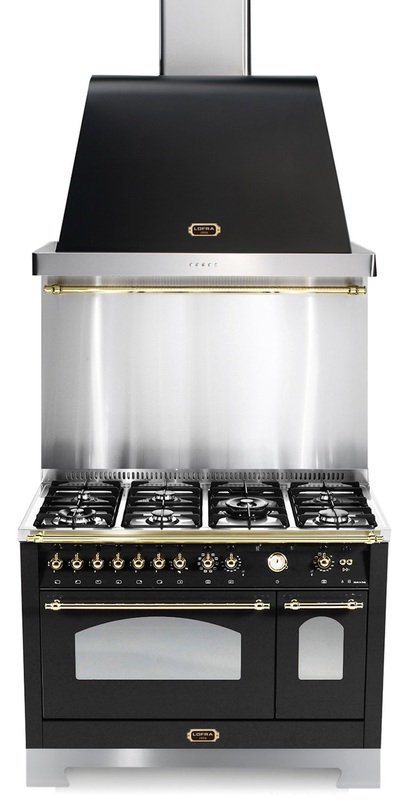 5 highly-efficient brass gas burners, 2 ovens with a combined capacity of 100 litres and 9 different functions. Cook like a professional, with a little bit of Italy in your home. Handmade Italian master-class quality. 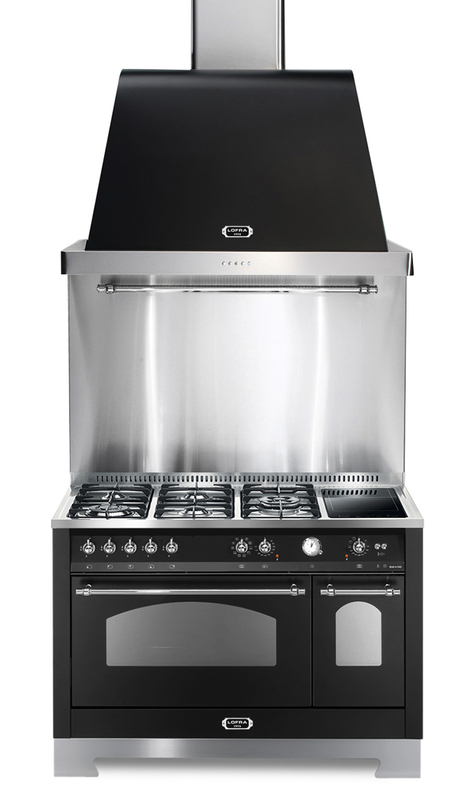 Lofra Venezia offers a powerful, stylish and modern cooker of world-class standard. 5 highly-efficient induction zones, 2 ovens with a combined capacity of 100 litres and 9 different functions. Cook like a professional, with a little bit of Italy in your home. A rangecooker crafted with love for the classic cooker design. 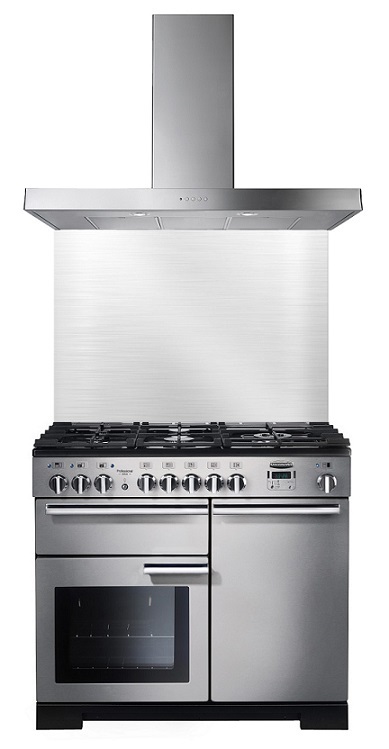 Here you get a complete cooker package with cooker, splashback and extractor hood. Spiral handles and generous curvaceous doors makes this cooker a true traditional rangecooker with all the features that you´d want in a kitchen. An induction hob with five heating zones and several accessories that makes your cooker a truly professional one. A luxurious rangecooker that takes your cooking to new heights. 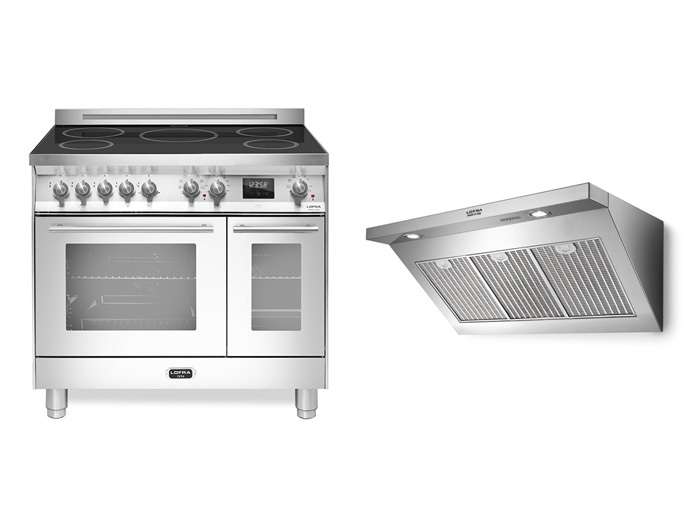 Here you get a complete cooker package with cooker, splashback and extractor hood. 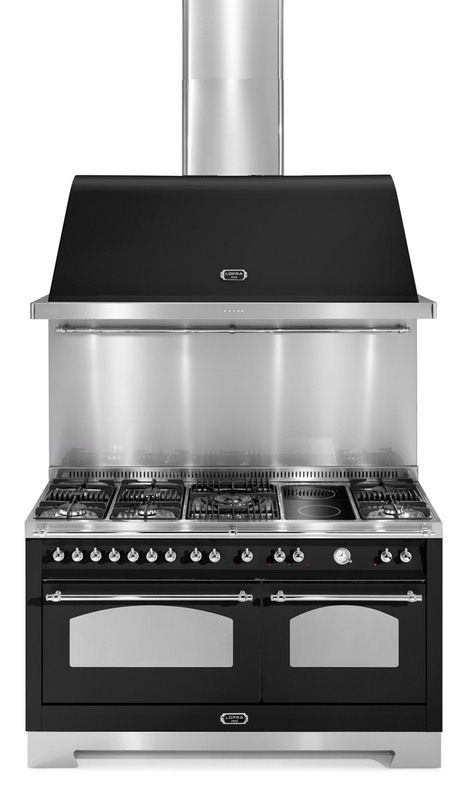 Rangemasters Professional Deluxe rangecooker will impress a home chef as well as a professional chef with its high-performance features and design.